For many young Russians, celebrating a special occasion in a nightclub might be a simple and obvious choice. Not so for one young man in a wheelchair, though. He was denied entry to a club in Russia’s Urals so as “not to embarrass visitors”. ­Aleksander Mokin booked his 27th birthday party in one of Ekaterinburg’s nightclubs well in advance. He carefully chose a venue not far from his home, as he cannot travel long distances. He reserved a table, letting the administrator know of his disability. Aleksander suffered a spinal injury two years ago when diving into a lake. Since then, he has been in a wheelchair. The club manager who made the booking said Alexander would not experience any difficulty. Except for one, as it turned out. Aleksander was simply barred from entering the club. The argument lasted around an hour. But security won over, and Aleksander was sent away despite his birthday, and his booking. Talking to the media later, the club’s manager failed to explain why the young man had been barred. He would have offered Alexander a comfortable table, had he been there, he assured journalists. The art-director has reportedly been fired, and club staff instructed never to let the same thing happen again. The strict security, however, remains in place. As if in mockery, the entrance to the club is equipped with a wheelchair ramp. But it is apparently never used due to the overly zealous “face control” – which, incidentally, the regional administration ordered to abolish in mid-April under Russia’s Civil Code. City officials were quick to investigate the matter. Having checked the club’s papers, they said it lacked the proper documentation to operate as a nightclub. Aleksander’s mother says they frequently face such discrimination. “It not only Sasha’s problem. 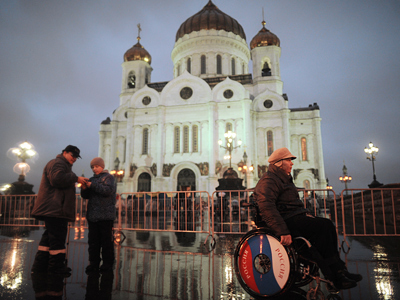 Many of Russia’s disabled are unable to get into places they would like to. But they are people too, you know,” she said to Channel One. The young man is resolute he will defend his rights. Alexander intends to file a court complaint against the club and demand compensation for his spoiled birthday. 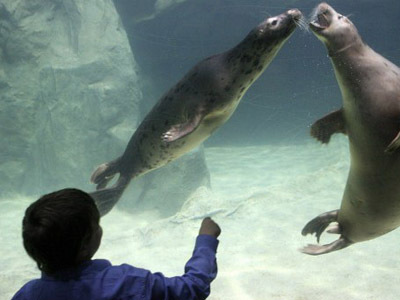 The incident echoes a similar one in Moscow, where a group of children with autism was recently denied access to the city’s Oceanarium. The reason given was the same: “Visitors do not like to see disabled people, it upsets them. It is not acceptable”.